DIAP’s involvement in this project was inspired by a vision for the future of the Peninsula. One day, when landing at San Francisco Airport, we realized that the Peninsula is being overtaken by parking lots. The Peninsula is also ridden with other problems, including an abundance of single-use land, high cost of living, and long commute times and traffic congestion. 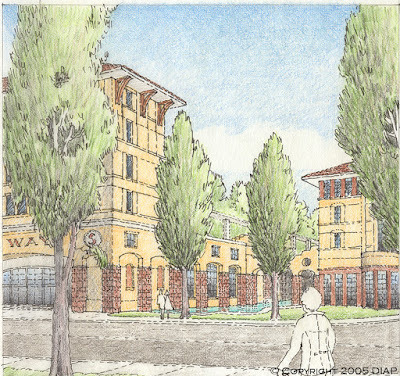 If you live in Burlingame, you are probably well aware of the efforts that have been made by various parties over many years to decide what steps to take to improve the Safeway site. Ideas have been presented, and proposals have been made, but none yet have been approved. The DIAP team thought about this and found a simple solution. The problem was not the design of the store, but the entire concept. The residents of Burlingame are unique and sophisticated. Burlingame Avenue and its neighbors are home to fine restaurants, fashion-forward boutiques, and social hot-spots. 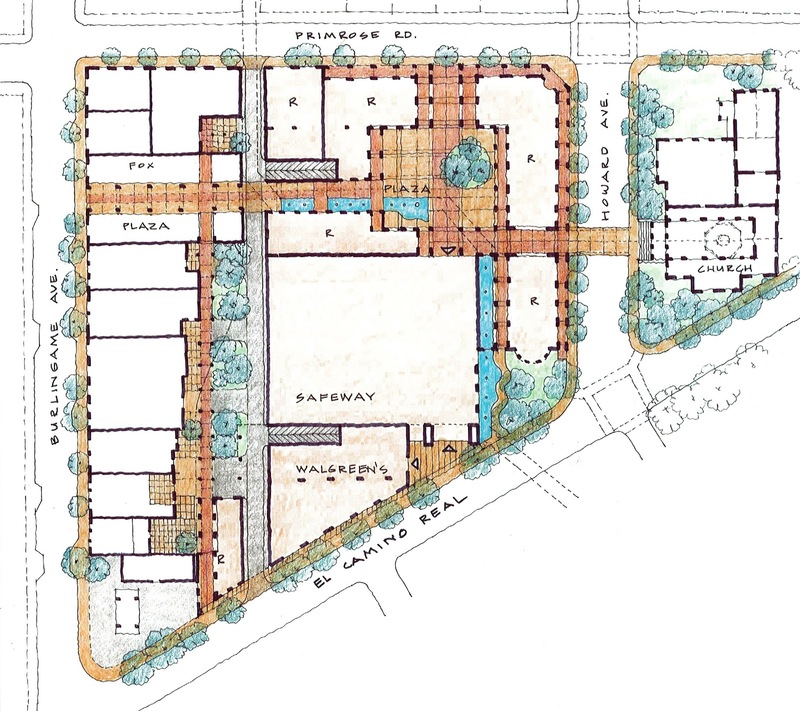 Our inspiration was to create a mixed-use gateway into downtown Burlingame that reflects its spirit while fulfilling the needs of the community. Our international work has allowed us to find solutions for these problems all over the world, we saw no reason not to try and fix these issues in our own backyard. 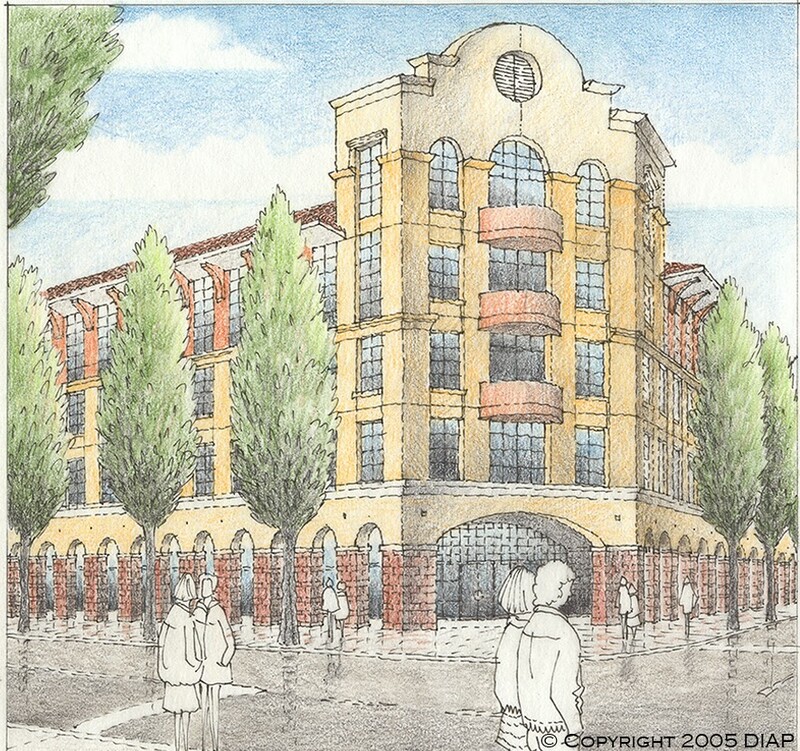 This proposal for the reuse of a key site in downtown Burlingame replaces a grocery store and parking lot with a mixed-use environment. 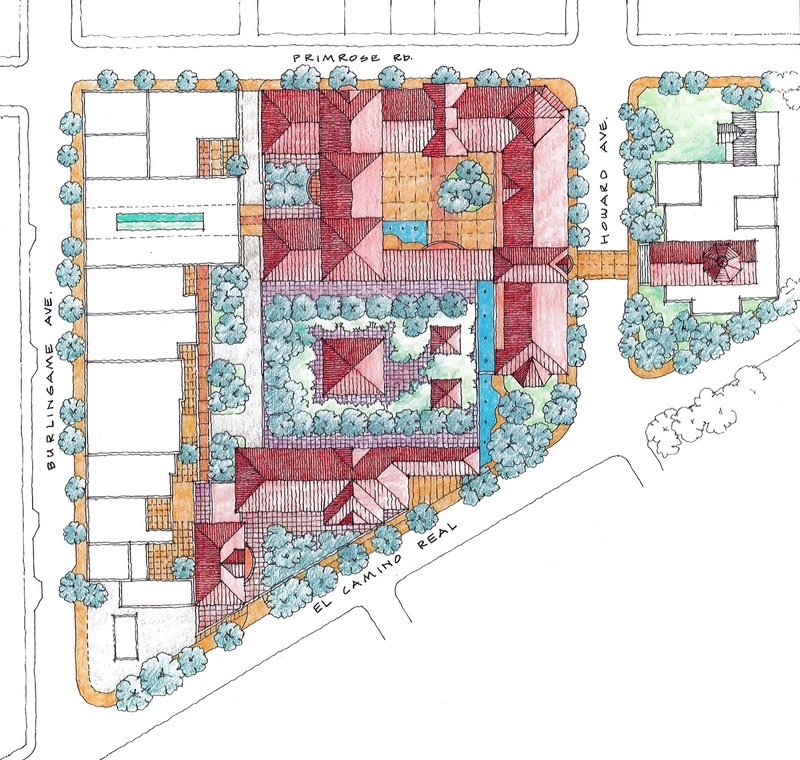 While studying the site, we also noticed that Burlingame faces shortages of housing and parking. Our goal was to develop a design that addressed these shortages without under utilizing the land. 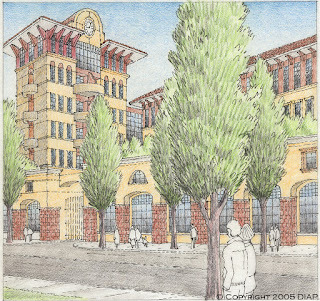 With no on-grade parking, Gateway Plaza makes full use of the land and offers a strong pedestrian friendly environment. Twenty-five percent of the total site is walk-able space. Underground garages supply parking for both Gateway Plaza and the downtown area as a whole. The Gateway Plaza design concept includes a full-service grocery store, ground level retail space, public plazas, and housing above. 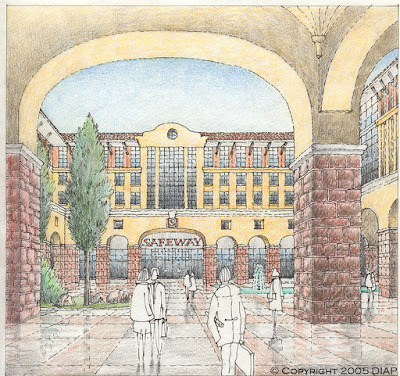 The design for Gateway Plaza incorporates only underground parking in order to take full advantage of the site.